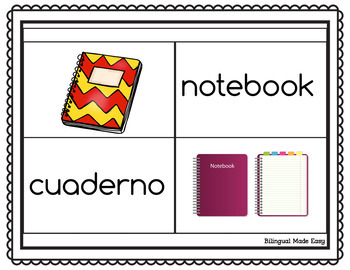 Looking for a product to use with your English Language Learners? 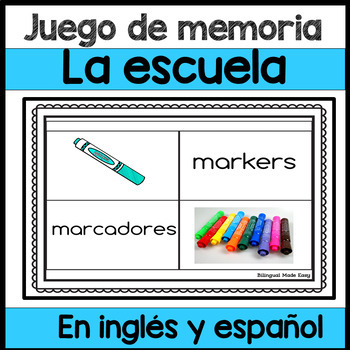 Bilingual School Vocabulary Matching Game will help students match school vocabulary words in English and Spanish. 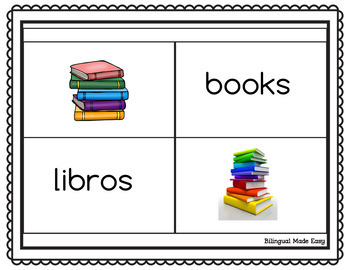 They can be used as a centers activity or can be used to introduce a new color concept. This product focuses on 34 different objects that will help any English Language Learners as they learn a new language in their Bilingual, Dual language or English as a Second Language Classroom.